CentrikBlogsGovernment AdvisoryGrievance RedressalHow to file an online complaint as a Consumer? A consumer is a person who buys a product or avails the services either for himself or for his workplace. Now there can be a possibility that you did not like the product or service and you want to file a complaint regarding the same, what will you do? Here, in the following article, we will embody few ways through which you can file a complaint. You can go to the concerned Consumer Court with all the necessary documents and lodge the complaint. Login to the website: The government has created a portal for consumer’s complaint called Consumer Online Resource and Empowerment Centre https://www.core.nic.in. This website is run by the Consumer Co-ordination Council supported by the Department of Consumer Affairs, Government of India. Registration Process: If you wish to file the complaint as a consumer you need to register yourself on the site. Fill the form will all the necessary details like your name, address, phone number etc. so that your user id can be created. 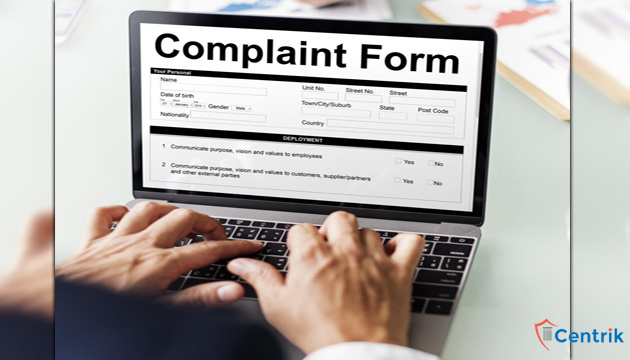 Filing the complaint: The complaint system has a drop-down for a menu of various sectors, segments, and brands that are inclusive of all registered brands with the Department of Consumer Affairs. While filing the complaint, one has to mention person involved and upload all the supporting documents for the same. Status of the complaint: Once the complaint is filed one can check the status of the complaint meanwhile it is resolved. One can file multiple complaints using same user id created while filling the form. Complaint can be filed in both languages Hindi and English.